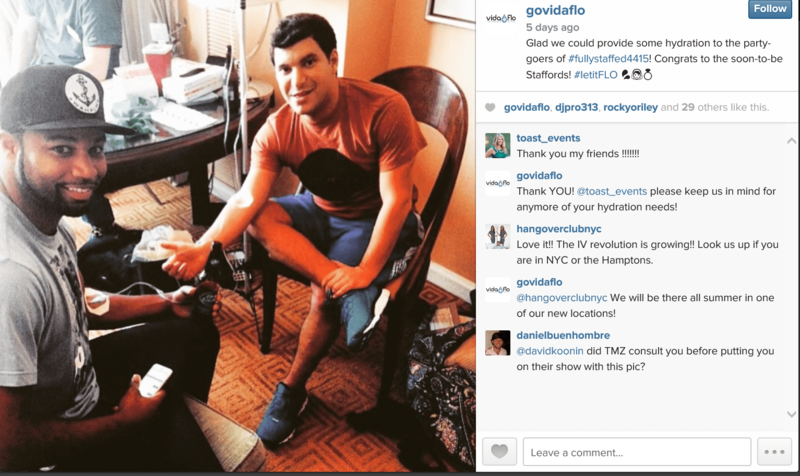 GarbageTalk: Matt Stafford Got Married — Why Manziel Should Call Him ASAP! 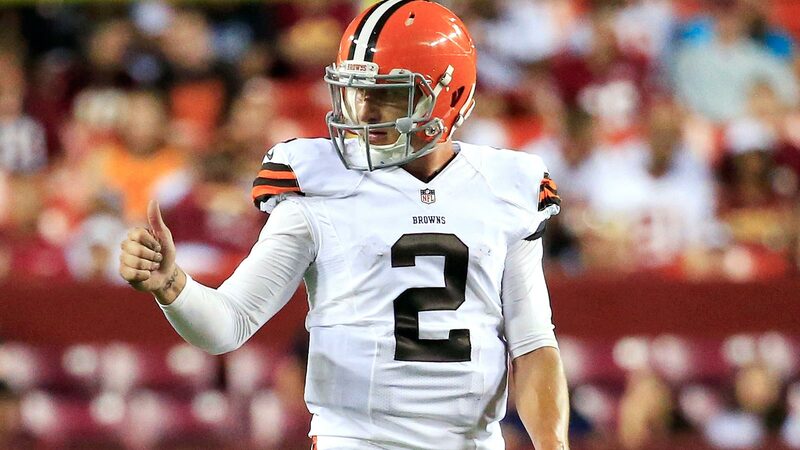 And if statements from the Browns have been accurate, Johnny’s road is especially tough because apparently, the Browns have already moved on from him … at least according to ESPN’s Chris Mortensen. So much for a warm and welcoming environment post-rehab! Adding to the already hostile environment awaiting Manziel, is that he has a lot to prove before being taken seriously in the NFL. All that stress, on a 22 year old who just graduated college no less, is enough to make anyone want to booze and party again. The fact of the matter is that Manziel had it too easy in college and was ill prepared for the NFL. But here at FBGarbage Time, we like to help all young and potentially talented future stars. After all, despite the Browns’ statements, Johnny has that potential to draw crowds, to sell tickets and to make the Browns money, which is why their statements to the media are short-sighted (as are many of the things the Browns do, but can’t do much about that). Anyway, if you are listening Cleveland, the answer is not to try to change him … ‘cause he’s never going to change, rehab or not. The answer is to make sure he does his job and reports to practice, learns the playbook, earns the respect of his teammates, etc. As for the partying? Johnny, call Matt Stafford ASAP! Why? 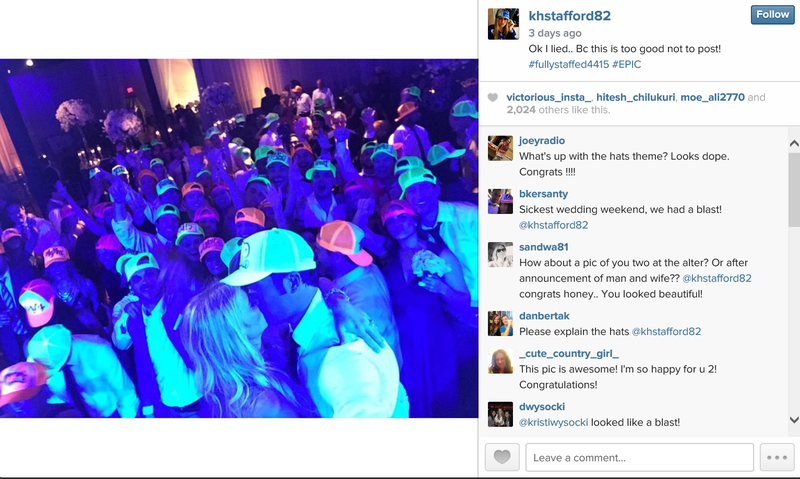 Because Stafford too is a party animal. Bet you didn’t know that! 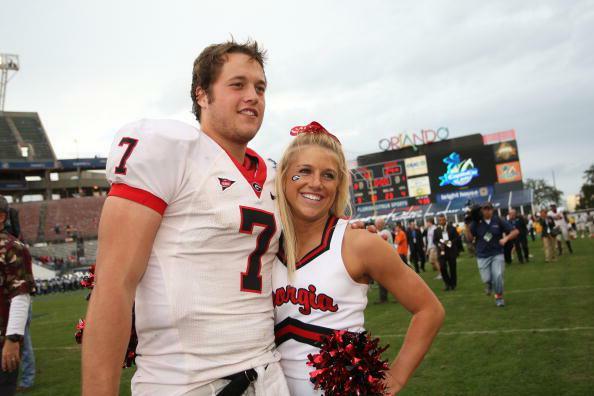 Matt Stafford, went to the University of Georgia for three years and won bowl games in each season. Located in Athens, Georgia, which is about an hour and a half outside of Atlanta, UGA has tons to offer. I know this not because I went there, but because I’ve had the opportunity to spend some time there in the recent past. Not only does it have great food (the Branded Butcher for example), but it has tons of bars, great coffee shops (Jittery Joe’s), great barbeque (you need to know a local to know where to go), and a beautiful campus. Good luck finding a hotel on the same weekend as a Bulldogs’ football game … you need to book it a year in advance! But I digress. Stafford opted out of his senior year and as predicted by a number of people was drafted #1 by the Detroit Lions in 2009. Before doing that, however, he managed to meet and start dating the love of his life, UGA cheerleader and Instagram-a-holic, Kelly Hall, who he in fact, just got married to last weekend (congrats Matt and Kelly)! Here’s a pic of the young couple from back in the day. Right, so back to the partying … Matt and Kelly are partiers. Yes, Kelly loves keg stands and Matt clearly enjoys being on a boat. Despite his off-season dance moves, and despite a slow start in the NFL in 2009 and 2010 due to injury, Stafford has turned into an arguably respectable QB (even if the Lions haven’t done that well each year), being named a Pro Bowl alternate in 2011, and being selected to the 2015 Pro Bowl. How has Stafford managed to keep all this partying on the D.L.? He hasn’t, but the media hasn’t focused on it either … which is why Manziel should call Stafford to figure out how to live the party life outside of the watchful, ever-present paparazzi (and under the rest of the world’s giant microscope). The Cleveland Browns should also take note. You don’t hear Detroit Lions coaches or players talking about Stafford and his hard partying ways. Is it because he is a leader and has control of his team? Maybe. Is it because the Lions have perspective? Probably. After all, we’ve all heard the phrase, work hard, play hard, which is what Manziel should endeavor to do when he gets out of rehab, though he should probably start with the “work hard” part. Back to Matt and Kelly — I, for one, wish Matt and Kelly a long and happy marriage. Sure looks like it was a bang’in wedding, complete with rehydration stations from GoVidaFlo!!! What? Yep. Anyway, happy honeymooning Matt and Kelly. And hopefully when you get back you’ll be getting a call from Johnny Football!